What Makes Viv So Special? The Viv artificial intelligence is capable of understanding spoken instructions and performing an unlimited number of tasks intended to facilitate successful completion of those instructions. But wait, you say, I can already talk to my smartphone and tablet. Indeed, you can. However, today’s digital assistants are actually quite limited and can’t successfully process multi-part complex sentences, let alone follow complicated instructions. With Viv, however, you’ll be able to ask those kinds of questions, and you’ll get legitimate answers (instead of something like the generic “Here are some websites that could help you with that” response from Google Now, which is basically the app’s version of a confused, blank stare). Viv will be able to handle such complexities because developers have built into the program an ability for it to learn, expand, and generate new code when necessary. That, alone, marks the introduction of true artificial intelligence; Viv will listen, evaluate, comprehend and implement spoken commands, and will create completely new and unique programs to link and interact with third-party sources of information. This is, without a doubt, the most impressive aspect of the Viv assistant, and it is this feature that will be paramount to its (her?) rise to the top of the digital assistant pyramid. Make no mistake — there is definitely the possibility that Viv could eventually overtake current leaders, namely Microsoft Corporation’s (MSFT) Cortana, Alphabet Inc’s (GOOGL) Google Now, Amazon.com, Inc.’s (AMZN) Alexa, and even Apple’s Siri. The big dogs of the tech industry have been keeping an eye on Viv Labs, and it seems as if they’ve realized that this tiny, eight-person engineering team has created something that could be more than just a little disruptive to their AI efforts. In fact, The Washington Post mentioned rumors that both Google and Facebook Inc (FB) have attempted to buy Viv. “Despite being a tiny, relatively unknown tech company that's virtually hidden in San Jose's corporate district, Viv Labs has been working on a revolutionary new artificial intelligence program that could, quite literally, change the future of mobile technology. Collaborating with some of the industry's brightest minds, Viv Labs is nearing completion of a digital virtual assistant, the likes of which has never been seen before. 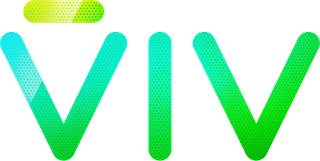 If you were impressed by Siri and Google Now, then Viv will be sure to blow your mind.